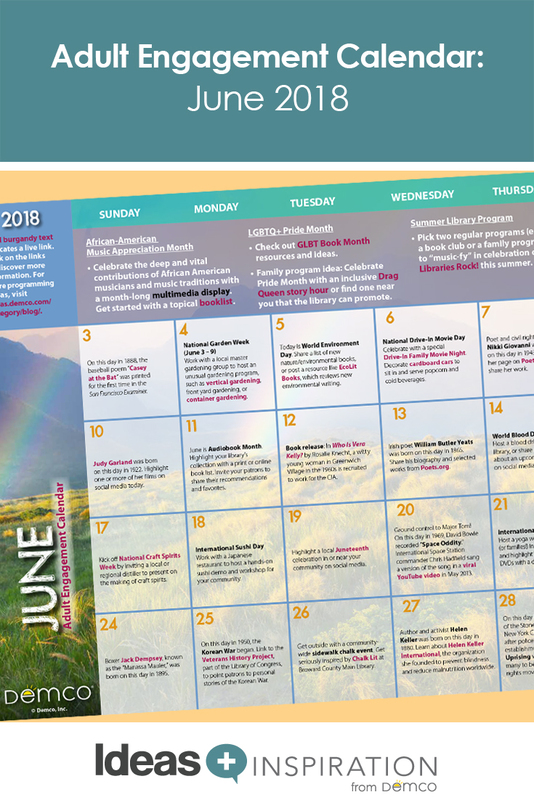 Kick off summer in your library by celebrating all things nature! Not only is June Great Outdoors Month, it’s also time to celebrate National Garden Week, Nature Photography Day and World Environment Day. 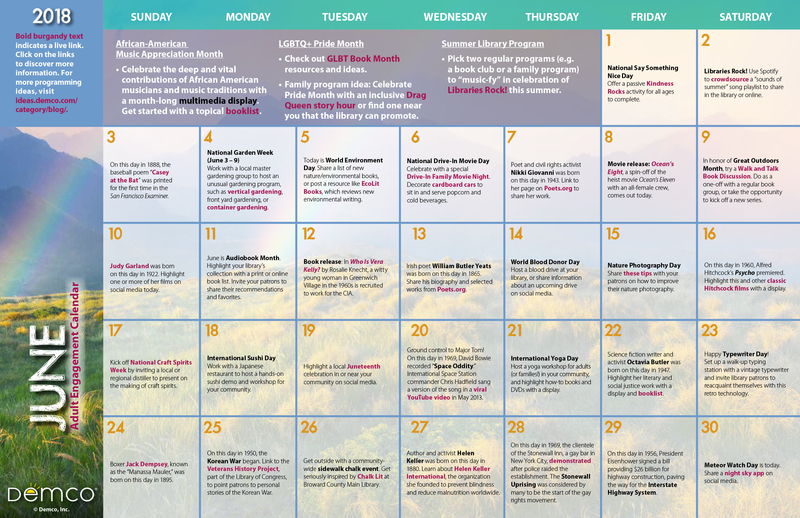 You’ll also find ideas for LGBTQ+ Pride Month, African-American Music Appreciation Month and much more.